From € 473 (3 nights) Check HERE availability. In our athentic 17th century house, we have two bed and breakfast rooms available. The house was built in 1616. The leliegracht is very centrally located. 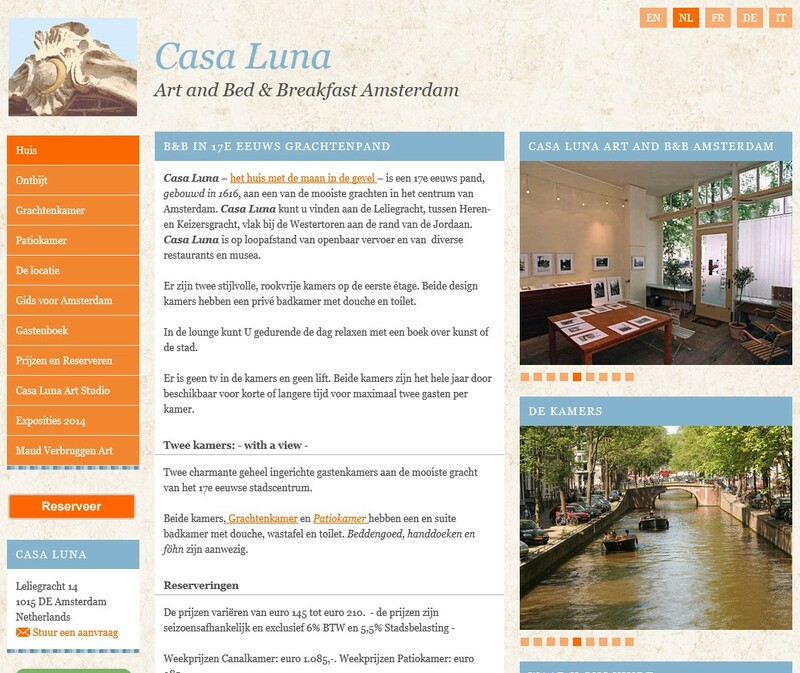 On walking distance you will find lots of cafés and restaurants and also the well-know musea of Amsterdam. The entrance of our house is through the design-studio of the owner. We use that space for exhibitions and presentations. We also have a lounge in which you can relax after a day long walking through Amsterdam. We dont have an elevator so you must go along the steep stairs (which is normal in Amsterdam). Your room has no TV and the house is no-smoking and drug-free. One room has the view on the canal. The other room is the patio-room on the backside of the building. Each room has its own luxury ensuite bathroom and towels, hairdryer etc. is all included.